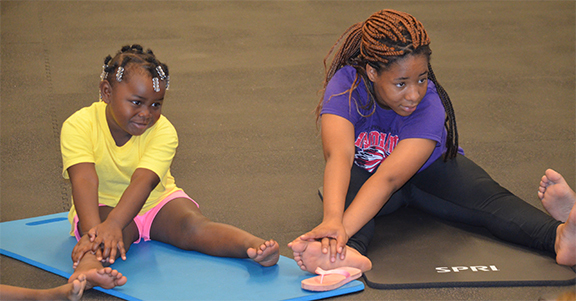 For two weeks in June the School of Kinesiology hosted a camp for children in grades K-6 from nearby Loachapoka Elementary School. 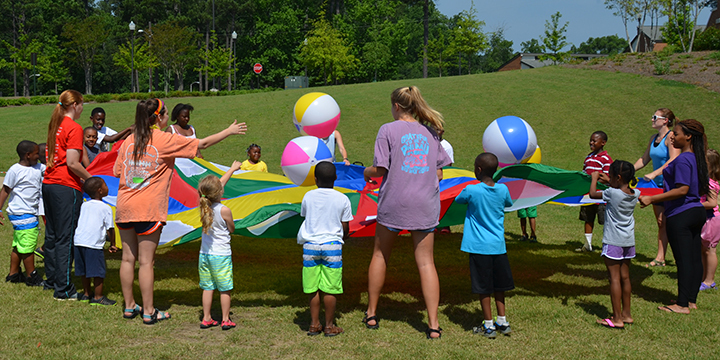 Approximately 40 children took part in the activities, which were held on the Auburn campus. Some of the activities included yoga, bowling, team handball, tag, and various striking games. Yoga instructor Lisa Padgett experienced great success implementing not only various movement and stretching activities, but also some of the empowering mental aspects behind the discipline. Team Handball was taught by the USA national team. Camp Director Dr. Sheri Brock gets a surprise water balloon bath!